The ABS plastic holders is a kind of our badge holders. ABS material has advantages of high strength, toughness, and ease of forming, the ABS plastic holders well inherited its virtues. In addition to the advantages of these materials, we have also thickened and widened the periphery of the ABS plastic holder, so you can change the cards more often than not and the plastic holder won’t bad. 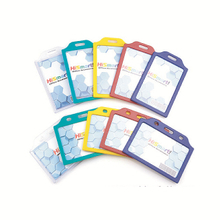 ABS plastic ID holders is wearable, portable, it can display ID card information clearly. The custodian or organizer can see the members of the team at a glance. For users, the ABS plastic holder is convenient, it allows you to look for a card without confusion. Therefore, the plastic holder is necessary and portable item for many people. 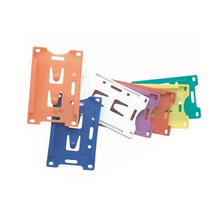 As a honest ABS plastic holders manufacturer in China, we provide customers with hard, wear-resistant, easy cleaning, and a variety of colors and types of ABS plastic ID holders. Please rest assured to choose your favorite.